From commercial development to active adult communities to large scale master-planned communities with golf and resort-style amenities, Denim Marketing has lived, worked and played in this space since 1999. There are too many highlights to mention, but we have detailed a few of our public relations and blogging successes in this article. 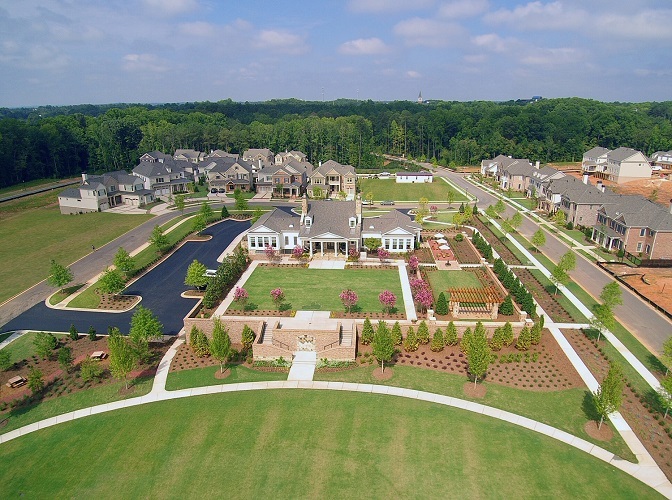 Denim Marketing is pleased to represent the only master-planned new home community in Johns Creek, Bellmoore Park. Developed by The Providence Group of Georgia, LLC, Denim promotes the community through public relations scoring placements in CEOWorld, the Atlanta Journal-Constitution, Appen News and others to increase awareness and branding for the community. Priced from the mid-$400,000s to over $1 million, there will be 600 homes once complete. With move-in ready homes available, as well as pre-sale opportunities, buyers can select from over 20 luxury home designs from five distinct collections. Working with Hedgewood Properties and Hedgewood Commercial Properties, Denim Marketing had the privilege of introducing the various commercial properties in Downtown Woodstock to consumers. A series of press releases announced the shops and restaurants and detailed the history of Dean’s store and the Dean family. Several historic structures have been preserved and converted to new use, like the old train depot (now Freight Kitchen & Tap) and Hubbard House (now Century House Tavern), both renovated as restaurants. The imaginative re-development of historic Woodstock now consists of 300 new homes including detached homes, townhomes and stacked flats, and 110,000 square feet of shops and restaurants. The 32 acres of homes, parks, retail, dining, restaurants and offices were designed to complement the existing historic structures along Main Street. Some of our favorite places to hang out are Century House, Pure Taqueria, Copper Coin Coffee and Fire Stone Wood Fired Pizza & Grill. Heron Bay Golf and Country Club trusted Denim Marketing to represent its development and brand through a series of blogs and press releases. One of the largest master-planned communities in the metro Atlanta area, when complete, the community will have a total of 2,060 homes. Heron Bay truly offers homeowners a little bit of everything from active adult homes to single family, as well as activities, events and resort-style amenities. Heron Bay is kid friendly, featuring parks, an aquatic center, nature preserve and walking trails that all ages will enjoy. For the adults, there are tennis courts, a variety of pool sizes for any activity level and a top-of-the-line 18-hole/72-par Canongate golf course. One of the most fun parts of working with Heron Bay was blogging as Henry the Heron and telling the story of the community with a bird’s eye view. Denim Marketing represented Soleil Laurel Canyon through public relations and blog posts. Named one of the 50 best master-planned communities in the United States by “Where to Retire” magazine, there is literally something for everyone over age 55 at this master-planned community. Residents of the neighborhood’s 278 homes enjoy exceptional recreational amenities including a 28,000 sq. ft. clubhouse with a heated indoor saline pool, billiards parlor, gourmet teaching kitchen, fitness center and aerobics studio, library, card rooms and an arts and crafts studio. A performing arts center, outdoor amphitheater, outdoor lagoon-style pool, tennis courts, walking trails, greenhouse and neighboring golf course complete the resort-style environment. 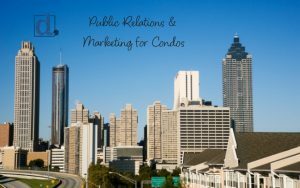 Having a strategic public relations plan benefits master-planned communities. Make sure your buyers know who you are and where to find you. 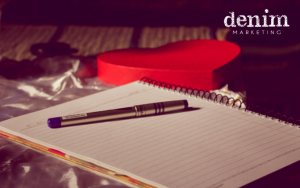 Establish your brand and create awareness through an ongoing public relations program. Denim Marketing would love to talk. Let us know your goals. Contact us here on this website or by calling 770-383-3360.